The General Directorate of Residency and Foreigners Affairs (GDRFA) in cooperation with the Dubai Health Authority (DHA) has enforced new laws on Health insurance. These laws are uncompromising and now there is no relaxation for defaulters. In December last year, deadlines were given to sponsors and to the residents who are sponsoring dependents to get an insurance policy for their dependents as soon as possible. These dependents include employees, children, spouse and domestic workers such as maids, nannies and house boys. The process has now been more simplified to improve its speed. Hands on non payers are getting tight. Sponsors and Dubai residents, who have failed to secure mandatory health insurance cover by December 31, faced a fine of Dh500 per month. Along with this hectic fine, no new visas have been granted and no existing one was renewed without health insurance.The Zero Tolerance policy of DHA is clear. This was primarily initiated by ISHAD (Insurance System for Advancing Healthcare in Dubai, Inactive now) meaning ‘bringing happiness’ in Arabic in 2014 by the Dubai Health Authority (DHA) to roll out sustainable health care for all nationals, residents and visitors in Dubai. The ESP (Essential basic plan) was completed and incorporated in July 2016, however; the deadlines to secure the plan was extended twice. There are a lot of myths about the Essential basic plan. But here we are going to explain all that you need to know about the Essential basic plan. Is EBP only for dependents? Yes, If you have uninsured dependents i.e. spouse, elderly parents and children or you have hired workers for domestic help who earn less than 4000 Dhs. In case, if your dependents are insured by your employer or you have insured them in a scheme with higher cover, than EBP is not compulsory. What are Benefits of EBP? The Essential Basic Plan offers all essentials at a reasonable cost. It is the best option for expats and foreigners who are unable to afford health insurance for their parents and spouse because of inflated rates. Standardized packages with premiums range from 650Dh to 725Dh annually. This will cut health care cost associated with regular checkups and routine checkups. The Essential Basic plan does not cover any treatments outside the UAE. Annual medical coverage is also limited and is not suitable if you want a higher cap. Insurance of your dependents i.e. spouse, children, elderly parents, spouse and domestic help is your responsibility and they must be insured. The Premium for elderly parents above 65 and married females who are most susceptible to pregnancies, is relatively higher. If you are paying Dh4,000 or less to your domestic help than they must be insured by you, under this plan. However, if they are getting more than Dh4000, it’s up to them to choose to either go along with this plan or choose another scheme that atleast meets or exceeds the benefits of EBP. Being an employer,it is illegitimate to deduct insurance cost from employee’s pay or decrease their salary to make them eligible for this plan. Any such activity, if reported will be charged with swearing penalties. DHA revises premium range every year and participating insurers must stick to it. For this year, it is from Dh650 to Dh725. The cost differs for each dependent. For employees who make more than Dh4,000, insurers have the EBP plan at relatively higher premiums. The Essential Baic Plan covers all medical treatments and examinations up to an annual limit of Dh150,000 for all claims. How to choose an insurer? The Dubai Health Authority has permitted 45 insurers as of July, 2015. Out of these, there are only nine there are only nine participating insurers for the mandatory EBP health scheme by DHA. There are a lot of fraud and scam companies claiming to be an authorized member of DHA scheme. As per new regulations imposed by the Dubai Health Authority now, it’s compulsory for business owners to have an insurance plan for their dependents and staff. This has raised a few concerns among the newcomers who want to do business in Dubai. The solution to this is to choose the right consultancy firm for business setup. Our team at Riz and Mona has valid insurers on board which will figure out the best plan for you at a reasonable cost. Feel free to contact us anytime if you have any query. 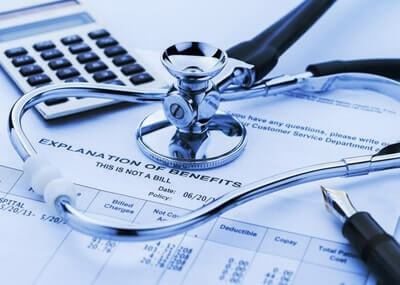 It is very handy informations regarding Health insurance. Thanks on your marvelous posting! I definitely enjoyed reading it, you are a great author. I will always bookmark your blog and will often come back in the future. I want to encourage you continue your great posts, have a nice day! Yeah.. everyone really need health insurance in Dubai, why cost matter too. Nice Post!